PLEASE NOTE: I'll be away for a short break, so all orders placed now will be shipped on April 8. Thanks for visiting my shop! Of all the world's insects, the bee enjoys a long history of appearances in art and mythology. 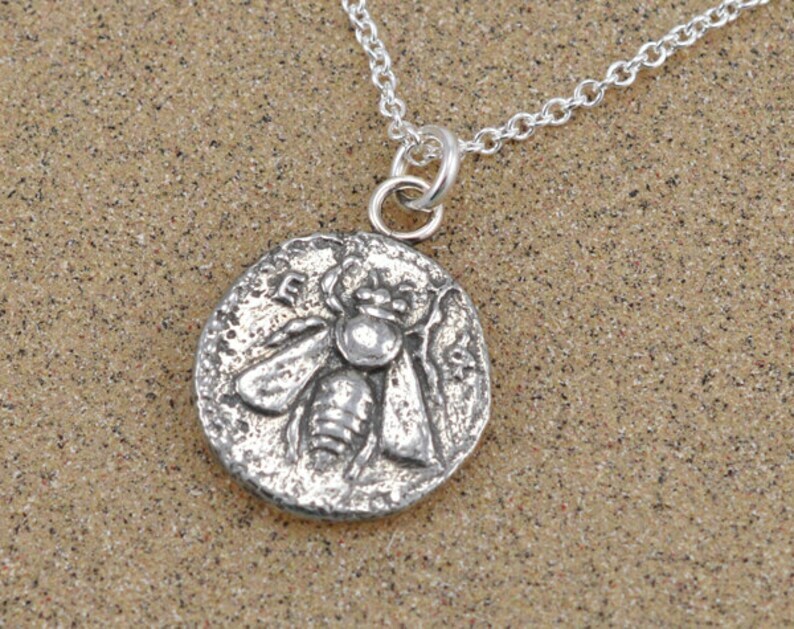 Bees were especially popular with the people of ancient Ephesus, perhaps because the bee featured in the city's founding legend: the Athenians who set out to found the new city were led to the perfect site by muses in the shape of bees. The bee was also a symbol of the patron goddess Artemis, and the priestesses who served her were called "melissai" - the bees of the goddess. 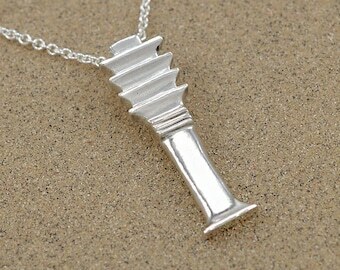 This sterling silver pendant is cast from a mold of an original Ephesian drachme dating from about 200 B.C.E. Each one is carefully hand-finished and oxidized to bring out the details of the ancient design. Very nice pendant and unusual in that the bee charm is an authentic coin! Such an impeccable piece of jewelry! The chain is by far the best and most 'user friendly' I have encountered - I can take it on/off behind my back with no problem (and besides it looks just flawless and is of sturdy high quality even with the delicate look of it) The pendant is beyond gorgeous! This is probably the highest quality Silver item I have seen and owned - pure elegance and also love the Artemis reference (brings a little rawness and goddess femininity into the mix!) I also love the peek into the 'process of making' here on the shop site - a sign of the honesty and integrity put into the art! Problem free transaction and super fast shipping (I live overseas) Will definitely buy more from this shop - Love!